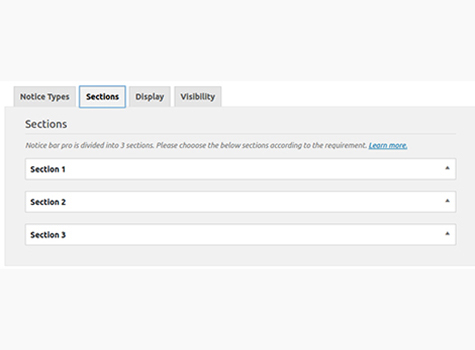 Notice Bar Pro is simple but powerful plugin to create and display custom notice bars in WordPress websites. The plugin is not limited to only simple text notices but also there are other 7 types of notices which provides user the flexibility to show flexible information like social icons, twitter tweets, sliding messages, tickers, interactive subscription form and more. Each notice bars has 3 divisions where 3 different types of notices can be displayed in a single notice bar . The plugin is not limited to only simple text notices but also there are other 8 types of notices which provides user the flexibility to show flexible information like social icons, twitter tweets, sliding messages, tickers, interactive subscription form and more. 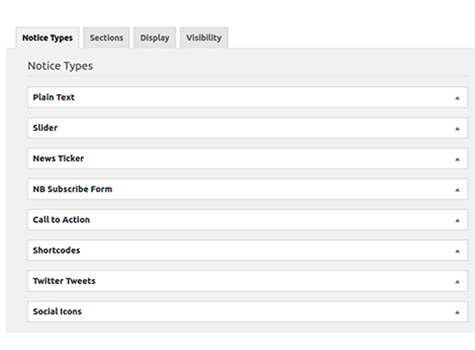 Each notice bars has 3 divisions where 3 different types of notices can be displayed in a single notice bar. Each notice bars can be split to max 3 divisions. 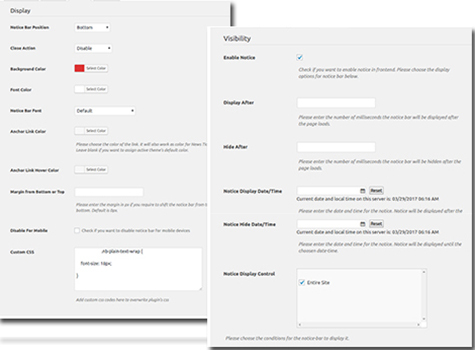 This gives you a flexibility to show 3 different types of notices within a single notice bar.